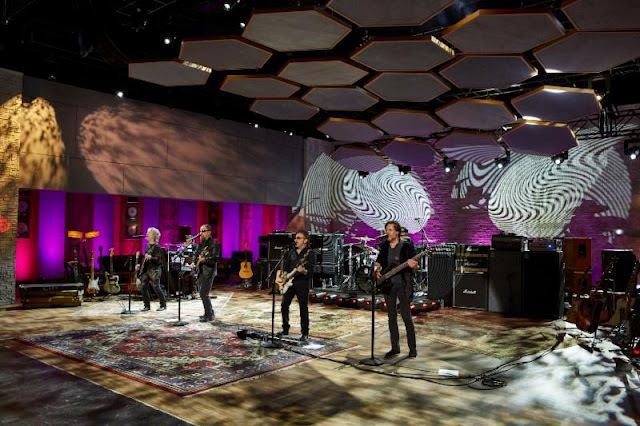 Tune in to the AUDIENCE Network concert special "BLUE ÖYSTER CULT"airing Friday, September 2, at 9:00 p.m. ET/PT (DIRECTV Ch 239/U-verse Ch 1114). The classic rock band stopped by Red Studios in Los Angeles to perform their seminal album Agents Of Fortune in it's entirety live. In the episode, the group sits down with Ted Stryker for an in depth interview spanning their history. View the trailer for "BLUE ÖYSTER CULT" airing Friday, September 2, at 9:00 p.m. ET/PT on AUDIENCE Network, DIRECTV Ch 239/U-verse Ch 1114(here). Watch and share behind-the-scenes clips of the episode (here) and(here). The Pretty Reckless score fourth consecutive #1 rock hit with new single "Take Me Down"
The Pretty Reckless smashes it! "Take Me Down," the first single from the upcoming album Who You Selling For, has reached #1 on the rock chart, after just 7 short weeks. This milestone marks the fourth consecutive #1 for the band who broke records as the first female-fronted band to have three chart toppers in a row with "Heaven Knows," "Messed Up World" and "Follow Me Down" (all from 2014's Going To Hell) - a feat that has not been accomplished since The Pretenders in 1984, over 30 years ago. "The Pretty Reckless are the most exciting new band in rock. Taylor Momsen is a star, and we take a great deal of pride in helping the band break through in a genre largely dominated by male artists," says Razor & Tie Co-founder Cliff Chenfeld. "This is just the beginning." The Pretty Reckless's extraordinary third studio album Who You Selling For is set for release on October 21. Produced by longtime collaborator Kato Khandwala, Who You Selling For expands the band's sound to encompass soul, blues and rock and roll. The songs were written by front woman Taylor Momsen and guitarist Ben Phillips. Momsen's dark lyrics and raw, charismatic vocals are on full display and the band delivers at full intensity with a level of musicianship that raises the bar. TPR hits the road this fall in support of the album, hitting major markets in the US and wrapping on December 6th in Los Angeles. DALLAS, TX. (MONDAY AUGUST 29, 2016) - The Video Association of Dallas announced today that former Dallasite, Michael Nesmith will receive the Ernie Kovacs Award on the evening of Saturday, Oct. 1, at the Kessler Theater (1230 W. Davis St.), prior to Dallas VideoFest 29, which runs Oct. 18-23. Nesmith is being recognized for a career that spans more than 50 years, including acting, producing, songwriting and his breakout role with The Monkees band and widely popular 1960s TV show. The Ernie Kovacs Award recognizes the career and talents of some of television’s greatest visionaries. Kovacs’ work in the 1950s and early 1960s summed up the spirit of innovation and the development of the language of television art. Past award recipients include “Rowan & Martin’s Laugh-In” creator George Schlatter, Joel Hodgson, Robert Smigel, Terry Gilliam, Harry Shearer, Chris Elliot & Bob Elliot, Martin Mull and Mike Judge. 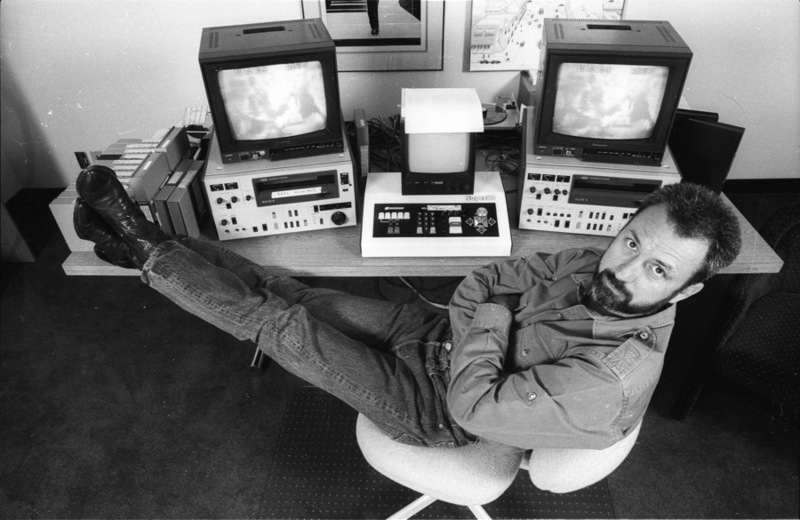 “Michael Nesmith is being recognized for his efforts as a video pioneer,” said Bart Weiss, director of Dallas VideoFest. “He understood the future of home video and formed Pacific Arts Video, which was a high point for great video that could be viewed at home. Nesmith is a former Dallas resident best known for his work with the hugely popular The Monkees band and television show. His other contributions in film, television and music include serving as executive producer of cult films REPO MAN, TAPEHEADS and TIMERIDER. Moreover he developed Pop Clips in 1980, which was the inspiration for MTV and his video “Cruisin” was Pop Clips first video. He won the first Grammy Award given for Video of the Year in 1981 for his hourlong Elephant Parts. He served on the board of trustees for the American Film Institute for 10 years. Nesmith will reunite with former Monkees Micky Dolenz and Peter Tork for a concert Sept. 16 at Hollywood Pantages Theatre in Los Angeles to mark the 50th anniversary of the TV show and plans a book tour to promote “Infinite Tuesday” - an autobiographical riff, which is due for release in 2017. “We saw an opportunity to elevate the Ernie Kovacs Award to a higher level by separating it out from the Dallas VideoFest and creating its own event,” said Bart Weiss, director of Video Association of Dallas and creator of the Kovacs Award for Dallas VideoFest. Actress Edie Adams, Kovacs’ wife, came to host the awards program every year until her death in 2008. Formed by the late entertainer & Muriel Cigar girl Edie Adams and currently run by her son Joshua Mills, Ediad Productions is home to what is likely the largest independent archive of early American television in existence. With more than 100 hours of audio airchecks and 150 half-hours of content from legendary comedian Ernie Kovacs as well as two seasons of Edie Adams’ prime time variety show from the mid-1960’s, Ediad Productions is a treasure trove of classic popular entertainment. Titles in the archive include, The Ernie Kovacs Show, Ernie in Kovacsland, Take A Good Look (clues), the Kovacs specials for ABC, The Edie Adams Show, Here’s Edie! And much more. It is based in Los Angeles, California. The long, strange journey of Michael Nesmith is as fascinating as it as was fraught--from fleeing Dallas as a young man with his pregnant girlfriend, to gaining international fame as a member of the Monkees, to falling deep into the grips of what he calls Celebrity Psychosis, to finally achieving inner peace and finding a creative wellspring in the teachings of Christian Science. Influenced in equal parts by the consciousness-expanding ambitions of Timothy Leary and the cerebral humor of Douglas Adams, in Infinite Tuesday, Nesmith spins a spellbinding tale of an unexpected life, in which stories about meeting John Lennon, or recording with Nashville greats, or inventing the music video trace an arc from Hollywood to Silicon Valley, illuminating a remarkable mind along the way.